Clarksville, TN – Austin Peay State University (APSU) says that earlier this summer, The Stabroek News, “Guyana’s Most Trusted Newspaper Since 1986,” published a story about that country’s nurses needing stethoscopes. Many of the nurses, working for Guyana’s Georgetown Public Hospital Corporation (GPHC), often have to scrounge for working stethoscopes while examining patients. Nurses in Guyana wear stethoscopes donated by Austin Peay State University nursing faculty. “Other than your hands, the second most important tool is the stethoscope,” Dr. Zulfikar Bux, head of accident and emergency at GPHC, said. 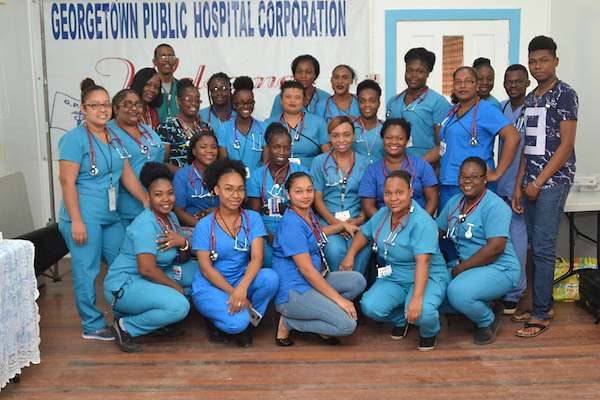 Last semester, Dr. Shondell Hickson, APSU associate professor of nursing, decided to help her fellow nurses, so in June, she arrived in Guyana with a shipment of new stethoscopes for the GPHC nurses. But Hickson didn’t act alone. Before she left, she asked her colleagues to consider helping the health care professionals in her home country of Guyana. The entire APSU School of Nursing faculty chipped in at least $50.00 a person, eventually raising $1,200 for the stethoscopes. 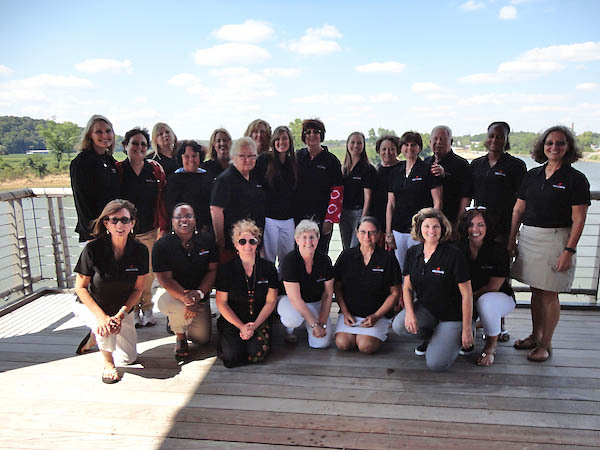 APSU nursing professors gather for a group photo. The donations were part of Vanderbilt University Medical Center’s Accident and Emergency Global Outreach Project, endorsed by the Tennessee Nursing Association (TNA), District 3. The Guyanese nurses were participating in Vanderbilt’s Emergency Nursing Program, in conjunction with the University of Guyana, and they received the stethoscopes as a graduation gift. The Austin Peay nursing professors and alumni also sent notes of encouragement, nursing pins and APSU memorabilia to the Guyanese nurses. “The look of gratitude on the faces of the students was priceless, and I was honored to be affiliated with APSU, TNA and VUMC in making such a meaningful difference in my country of Guyana,” Hickson said.